Buying vs. Leasing: Which Is Right for You? There are advantages to both buying and leasing, but which is best for you? Buying gives Yonkers drivers the freedom to fully customize your car, as you own it. However, leasing is often a great option for Bronx drivers because it allows you to get the newest vehicle. Next time you’re looking for a new vehicle for sale, use our helpful guide to determine whether buying or leasing is right for you! Price: In general, leasing a vehicle will cost less than buying due to a lower down payment and smaller monthly payments. Thanks to lower payments, you may be able to drive the exact vehicle you want! Features: The average lease will last 24-36 months, which means you can constantly get the newest Honda vehicle. It’s All Yours: You’re building equity with each payment you make. Whether your loan lasts 36, 48, or 60 months, you’ll own the car at the end of it. Customize – Since the car is yours, you can make whatever modifications you please. From additional features to a new stereo system, your car means your rules! 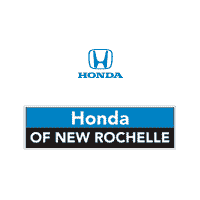 Whether you decide to buy or lease, stop by Honda of New Rochelle to learn more. We can help you get set up for a test drive so you can try out that new Honda Accord you’ve had your eye on, like the LX or EX. Be sure to check out our Honda CR-V and HR-V models as well! 0 comment(s) so far on Buying vs. Leasing: Which Is Right for You?